An investigation into the death of patients who attended a one-week medical camp in October last year has revealed that frequent entries and exits by staff and visitors could have exposed the deceased to infections. Last year, 13 patients, including former Kyadondo South MP Issa Kikungwe died after being operated on during a neurosurgical camp at Mengo hospital, prompting the the Ministry of Health and the Uganda Medical and Dental Practioners’ Council (UMDPC), to order an investigation into the deaths. The ministry dismissed claims that the patients died because the team that conducted the surgeries was not qualified. “Council noted that all the health care workers involved in the neurosurgical camp were qualified and were duly registered by their respective regulatory councils,” Dr Sarah Opendi, the state minister for Health (General Duties) said. 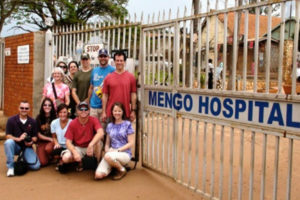 The camp was organized by Mengo Hospital in collaboration with the US-based Duke University and the Neurosurgical Society of Uganda (NSU). Releasing the report to journalists at the ministry headquarters in Kampala yesterday, Dr Opendi, said the visiting team of neurosurgeons had previously held 11 similar neurosurgical camps, 10 at Mulago National Referral Hospital (10) and one at Mbarara Regional Referral Hospital. “The hHospital camp was intended to work on complex neurosurgeries which would otherwise have been referred abroad. Overall, there was adequate preparation for the camp…council established that equipment and supplies were adequately provided in the theatre, ICU and High Dependency Unit for the neurosurgical camp,” Dr Opendi added in reference to the report.